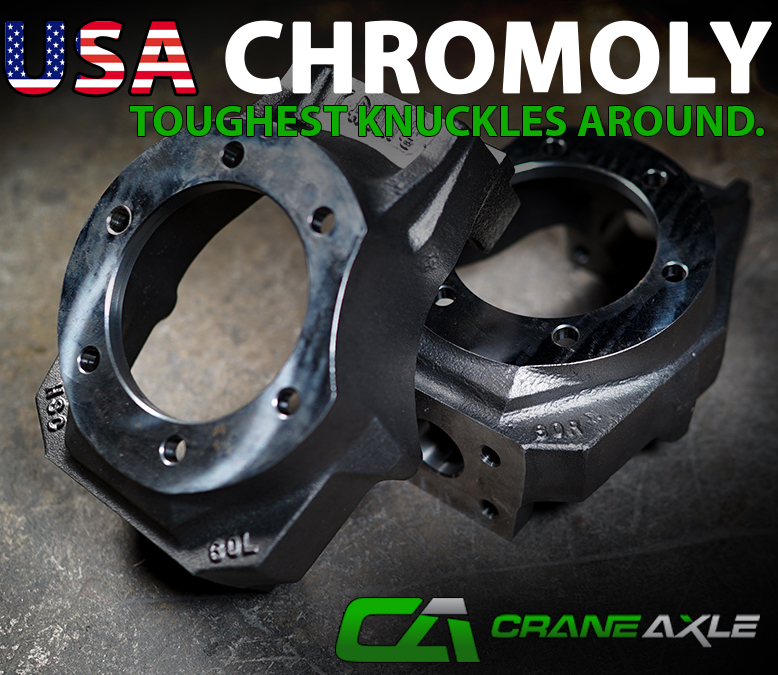 The only Dana 60 Outer Knuckles on the market built from 8620 Chromoly Steel come from Crane Axle! Using weldable 8620 Chromoly Steel instead of cast iron allows the ability to produce a lighter and stronger knuckle. 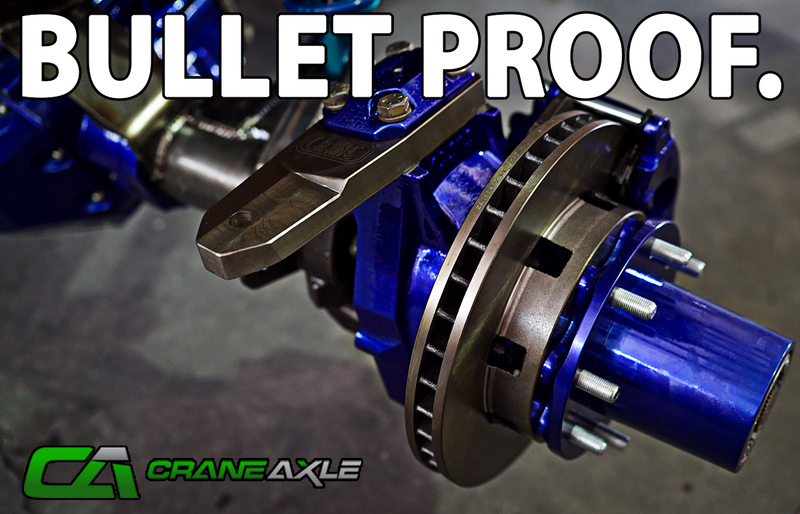 Crane Axle's design for the Dana 60 Interlocking High-steer Arm design eliminates the need for a 5th or 6th bolt for strength. Instead, the interlocking Keys of the Knuckle increase the strength. The Crane knuckle utilizes 9/16" hardware on the upper kingpin caps and steering arms. 8620 alloy steel has a much higher carbon content than mild steel. This higher amount of carbon means increased overall strength. This material is characterized by a hard outer surface, combined with a ductile interior for higher strength. Minimum properties of 8620 (chrome-nickel-moly) alloy steel; Tensile Strength, psi: 97,000 Yield, psi 57,000. What does this mean for you? Our 8620 Chromoly Steel parts can take more abuse day in and day out than our competition resulting in a longer lasting knuckle. All Crane Axle products are cast, machined, and made right here in the USA. It was important for us to make sure the casting to place in the USA as it’s a well known fact that castings produced here in the USA are a superior product to imports. 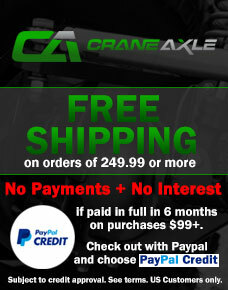 Here at Crane Axle, everyone in the company eats, sleeps, and bleeds off road performance. We have engineered all our products to withstand the constant rigorous abuse in high performance off road applications. We want to enjoy our time on the trail so we built parts that will take the abuse we inflict without fail.